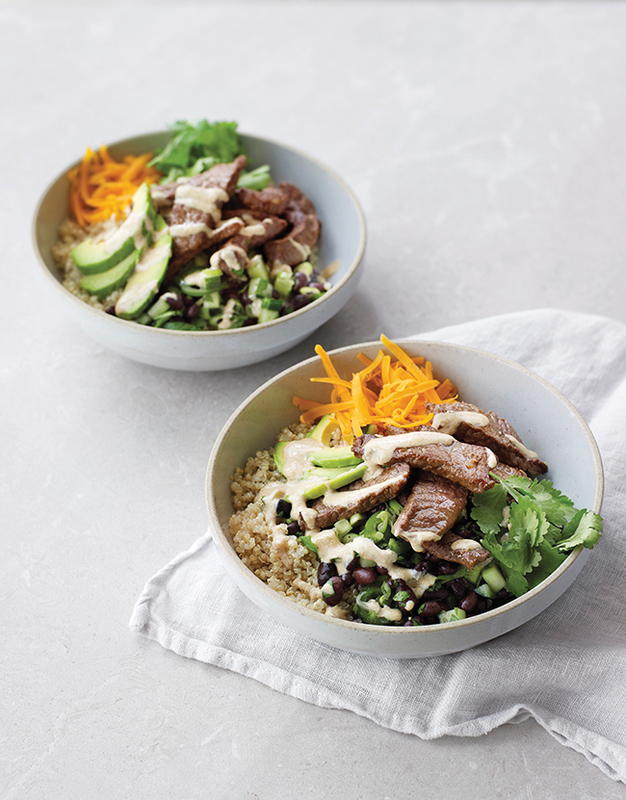 Buddha bowls are fantastic for when you fancy lots of different tastes and textures in your meal. Not only are they delicious, but they’re also a great way to ensure your dinner has a good balance of different nutrients. 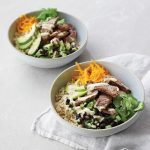 Buddha bowls are fantastic for when you fancy lots of different tastes and textures in your meal. Not only are they delicious, but they're also a great way to ensure your dinner has a good balance of different nutrients. Tip the quinoa into a pan of boiling water and cook for 12 minutes; drain and set aside. In a bowl, mix the black beans, salad onion, cucumber, chilli and chopped coriander. Toss through the vinegar, honey and ½ tbsp oil; season and set aside. Heat the remaining oil in a pan over a high heat. Add the steak and season lightly. Cook for 1-2 minutes to seal the meat, then reduce to a medium heat. Add the fajita seasoning and cook for a further 3-4 minutes, tossing the slices. Transfer to a plate. Add 1-2 tbsp water to the pan and scrape up any cooking juices, then stir into the yoghurt. Divide the quinoa between 4 bowls and top with the black bean salsa, steak, avocado, cheese and the remaining coriander, drizzling over the yoghurt mixture to serve. 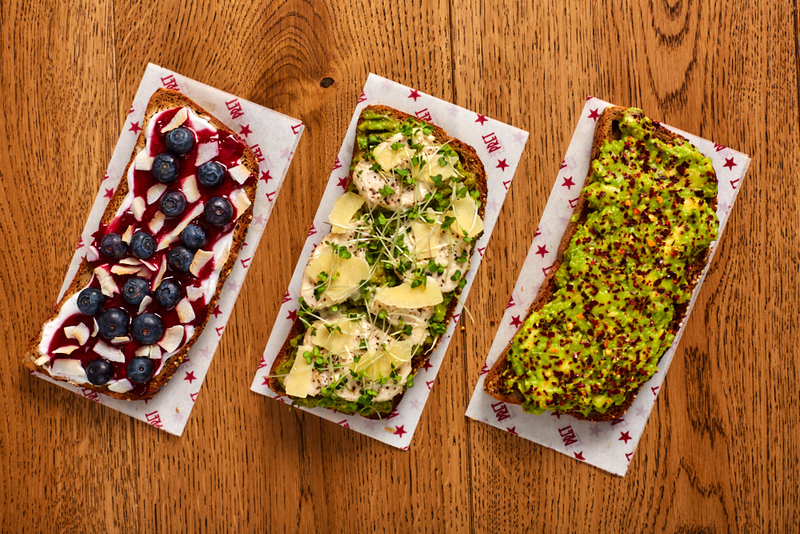 Add some lime wedges too, if liked. Brown rice also makes a good base for these burrito bowls.